The year was 1913, the beginning of modernizing New York where old buildings were torn down and new construction widespread throughout the city in the form of luxurious hotels and house-like apartment buildings. At the same time, famous streets such as Park Avenue began their start when they became a high-class residential area. Famous New York Society Architects Warren & Wetmore were commissioned to design another ambitious project. The building would be u-shaped in the form of ultra-luxury mansion apartments combined with an apartment hotel located at 270 Park Avenue. As soon as the news hit the street rich and famous alike rushed over to become the newest building occupants. In 1917, construction was completed and newspapers had headlines that read “the largest apartment building of a kind” with an arcaded central courtyard featuring 3000 rooms and 100 millionaires who called this place home. New Residents had choices beginning with 6 room apartments up to 19 room apartments that come with exorbant rental prices no matter the apartment choice. 270 Park Avenue, had some of the most famous names of the day, as building residents. In 1924, silent film star Rudolph Valentino and his wife newly arrived into New York City from their recent trip to Europe where they bought props for their next joint movie titled “The Hooded Falcon”. They leased a long-term spacious apartment furnished with antiques purchased from abroad. It is not known how much the rent was for this apartment but from what I read the amount was massive for that time period. While the Valentinos were living in the apartment preparing for their next picture they heard producer J.D. Williams bought the film rights for what would be Rudy’s next movie picture titled “Cobra”. However, at the same time Rudy experienced financial setback with “The Hooded Falcon” also there was limited movie studio space available in the city for them to film. So after many weeks, of delays and with an uncertain future for their movie Rudolph and Natacha decided to moved back to Hollywood so Rudy could film his next picture “Cobra”. 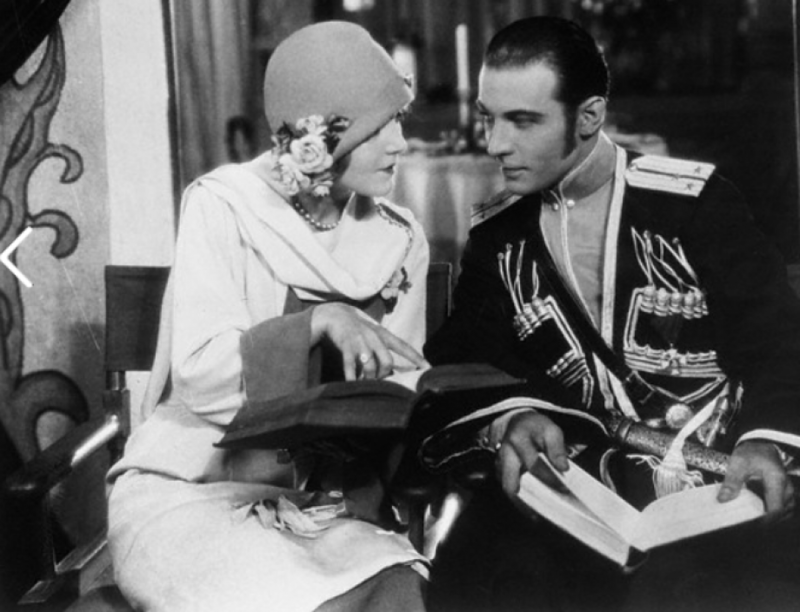 Research has shown as of early 1925, Rudolph Valentino still maintained a lease on the apartment.